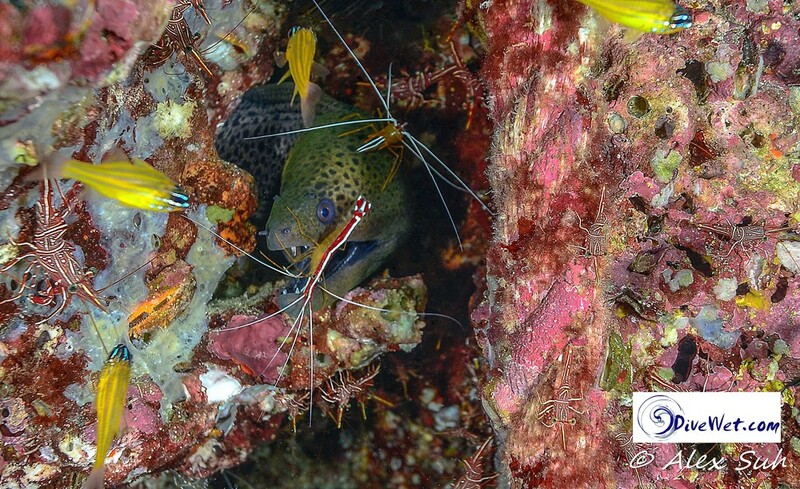 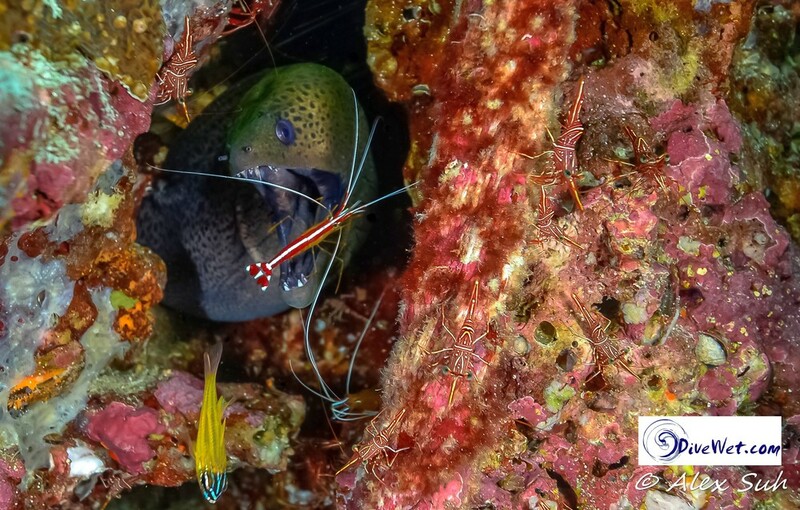 These photos were taken at various cleaning stations where there are cleaner shrimp, wrasses and gobies that will pick parasites off the fish or eels. 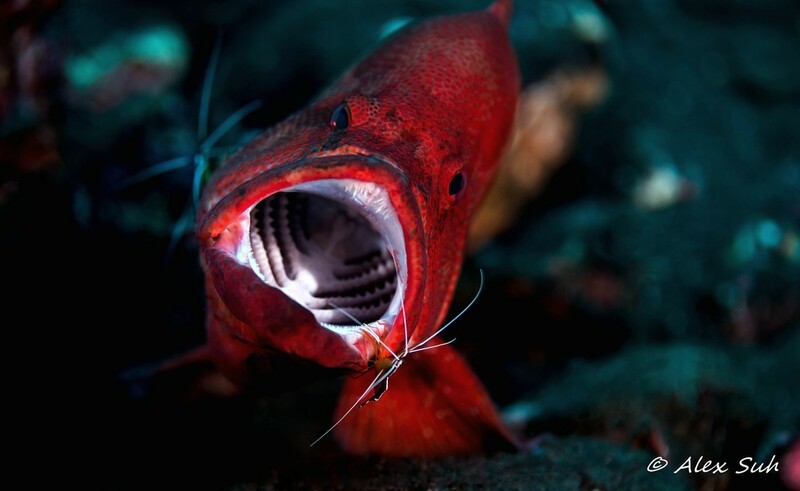 They start on the outside of the body and then will move to the inside of the mouth and gills without being eaten by the fish/eels. 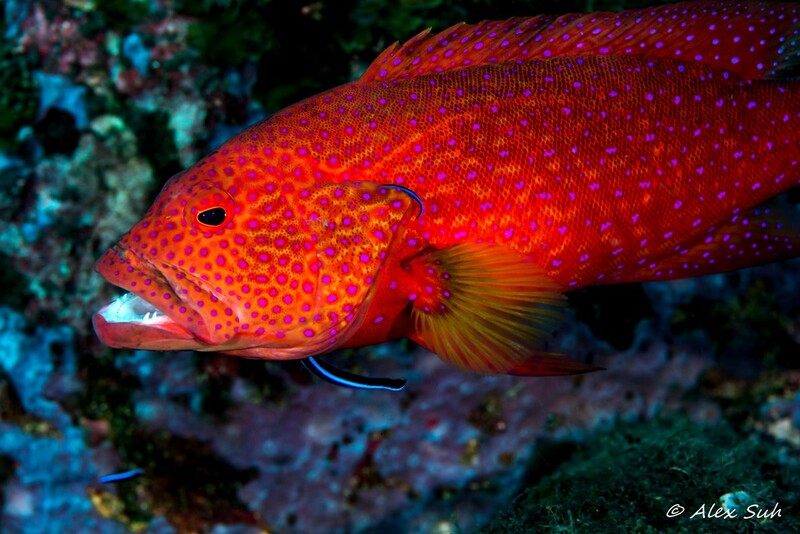 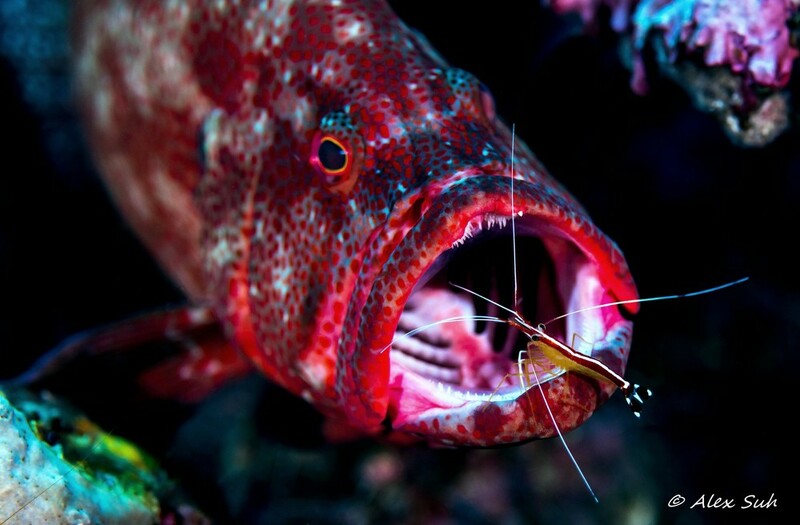 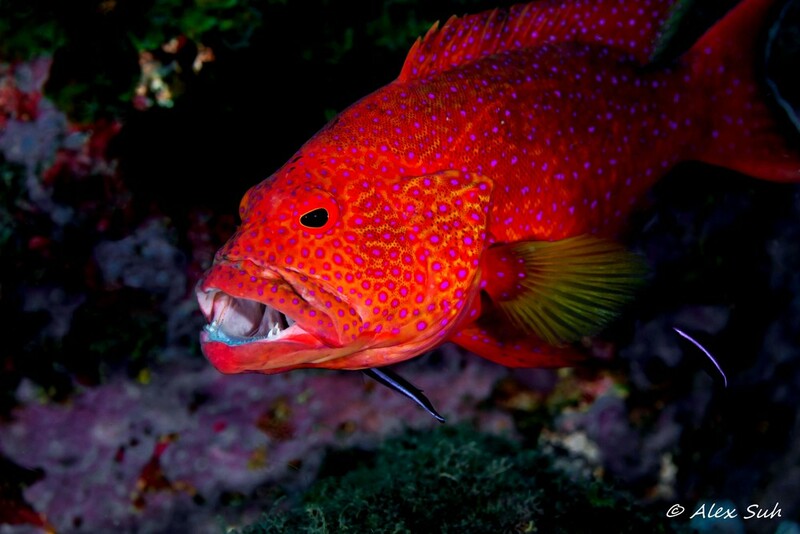 The fish such as the grouper above will sit there with one fin against the rock while the cleaner shrimp cleans the parasites off the grouper. 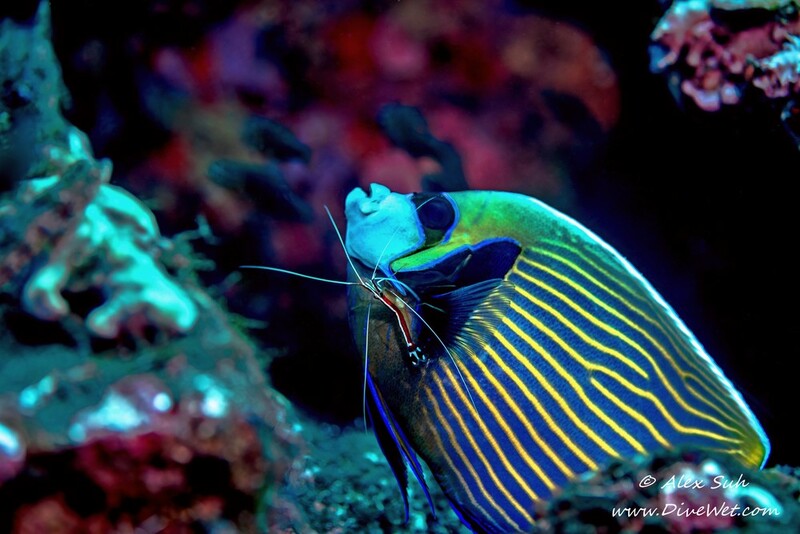 It's an amazing sight to watch. 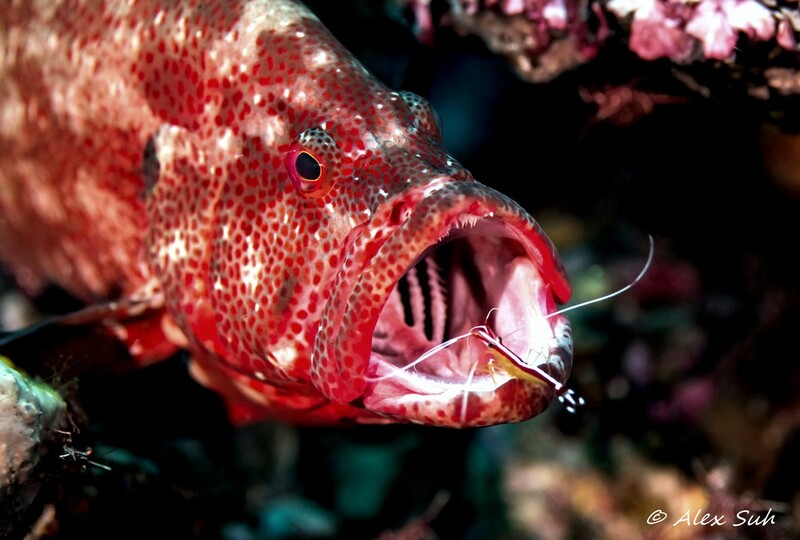 You can even see divers get their nails or teeth cleaned by the shrimp as well.